A few of my friends have called me ‘brave’ for leaving what is deemed by society to be a good job. But the way I see it, it’s just that I factor in values that are different from conventional measures of success, into my career/life decisions. The risk, in my opinion, lies not in losing the prestige and lifestyle that comes with a particular job, but in not living life in such a way that I can look back on with pride as having been lived according to my values, not necessarily those of society. Many in corporate roles, especially finance, will understand the concept of risk-weighted analysis. Here decisions are considered in the light of the combination of two factors: % likelihood an event will happen, and loss/gain if it does happen. There’s often a balance between the two sides of risk (% likelihood of events) and reward (loss if it does happen), that acts a bit like scales: for example higher benefits from an investment are often only possible if there is a higher chance that capital may be lost. It seems to me there is an equivalent set of scales in life: the well-paid jobs (reward) come only hand-in-hand with corporate pressures, risking your health and life interest (“Getting the job done was all about giving everything to the job”). Health: More and more studies and health statistics are showing that our working lifestyle is detrimental. Even if you enjoy your job, it is not healthy to overwork. Studies by Marianna Virtanen of the Finnish Institute of Occupational Health have found that overwork and the resulting stress can lead to all sorts of health problems, including impaired sleep, depression, heavy drinking, diabetes, impaired memory, and heart disease. Even employers who disregard employees’ well-being, find that there are real, profit-impacting costs incurred when employees log crazy hours, in terms of absenteeism, turnover, and rising health insurance costs. Performance: Overwork (routinely working 48+ hour weeks, rather than just short-term resolution of a crisis) is also counterproductive professionally. You’re more likely to make mistakes and judgement errors when you’re tired (and only 1-3% of us work well with here). Overwork does not even result in getting more done: when factory owners first limited workday hours back in the 19th century, management was surprised to discover that output actually increased; in a more recent study of consultants by Erin Reid (of Boston University’s Questrom School of Business) managers could not tell the difference between employees who actually worked 80 hours a week and those who just pretended to. Life satisfaction: Even after having “made it” in terms of money and prestige, many have said they find their reaction to be “Is that really all there is?”, underwhelmed and still looking for something more. I’ve also seen various articles recently along the lines of ‘Fathers able to spend their lives the way they want to’ and ‘Retiring: You need to ask what you want out of life‘. It’s odd that people often wait til they retire, get to the top or have children to ask themselves what they want in life – in the meantime spending many years giving so much of themselves to jobs that will ultimately not satisfy them. It gets worse the further into the ratrun we go: it’s progressively harder to reject the working style you’ve given more years to and are used to, and it’s more of a struggle to return to a balanced life because we have to regenerate old interests. The more we overwork, the greater the tendency to lose sight of the bigger picture of what you want in life: “Overwork is literally a story of diminishing returns: keep overworking, and you’ll progressively work more stupidly on tasks that are increasingly meaningless” (source here). The facts about overwork being bad are nothing new – so why do we still not take it on board, or decide it’s OK to put up with it, when considering jobs? Harvard Business Review (here and here) outlines various theories about why we overwork: because our bosses tell us to, with promises of bonuses; as a result of work culture & technological evolution; from a mix of psychological drivers such as machismo, greed, guilt, pride, a desire to prove we’re important; or for some, work can be a haven, the only place they feel confident and in control. Maybe the combination of all these things produces too intoxicating a cocktail to overcome: we’re already hooked on society’s success values of being busy and having prestige. If anything the problem is getting worse: even though we know we ought to consider the health and lifestyle side of the job “scales”, considering what we really want is still declining, partly because of the rise of technology, limiting our available time to really think. Our weekends are also increasingly taken up with life admin and a jam-packed social calendar instead of free time (Guardian’s “Who Killed the Weekend“). Also the next generation of adults, instead of enjoying a variety of different indoor & outdoor pursuits as once was the case, are having to decide where to specialise earlier & earlier in life, pushing them into jobs that are less likely to satisfy them given they’ve not yet thought through what’s important to them. So how can we try to fix all this? Ultimately things can only change if we individually take responsibility for considering our own values of success and living by them, particularly when it comes to choosing a working lifestyle. If you don’t agree with society that success should be measured by level of earnings/spend, then don’t perpetuate such values by continuing to live by them. We’re each in control of our own lives and the values by which we choose to live it, but these have become out of sync. I know that changing deeply ingrained habits is hard, especially when they are a product of approval from societal norms. Maybe in this respect I, and others who are doing so, are brave! And this philosophy is not just for those who consider that they have the luxury to do so: many more people DO have this choice than think they do, but are “hooked” on choosing a life of inflated spending, with social competition/status fooling us into thinking we can’t survive on the lower income of a less stressful job. Many very successful businesses today would not have begun if it weren’t for their founders initially finding a way to drastically lower what they need/want in order to live, and still not feel like their style has been cramped. Levels of overwork have also now been incorporated into a new measure of a country’s development, to complement the more traditional wealth-measure of GDP: the EU’s Quality of Life index (because of course, there’s a measure for everything!). It includes a Job Satisfaction score and a Hours worked per Employee – see below for the rankings. They say that “Research has shown that subjective well-being increases with the number of hours an individual works per week but only up to a certain point, beyond which it starts to deteriorate, possibly because excessive (over 48 per week) working hours reduce job satisfaction which in turn reduces overall fulfilment”. Source: EU’s Quality of Life Index, number of hours worked per full-time employee per week, based on population who have jobs (Netherlands data unavailable); and Satisfaction with current job 2011 (scale 1-10, Switzerland and Norway data unavailable). Sorted by satisfaction score. Note: Negative correlation of 0.7 between the two datasets. The embedded economy ‘reminds us that we are more than just workers and consumers’. Source: Kate Raworth and Marcia Mihotich. Read article in full here. Hopefully such measures will encourage thinking twice about whether overwork and wealth are really “growth”. 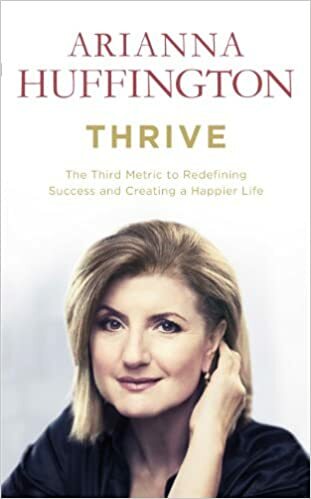 In Arianna Huffington’s book “Thrive”, she proposes that to thrive in the lives we truly want and deserve, and not just the lives we settle for living, we need another measure of success that goes beyond that of money and prestige: if we don’t redefine what success is (in which we currently drive ourselves into the ground, if not the grave, and working to the point of exhaustion is considered a badge of honour), the price we pay in term of our health and wellbeing will continue to rise. She notes that overwork is a model of success that was put in place by men but is not working for women in particular (nor men really), and thus it’ll be women who lead the way in defining new measures of success. For women, most of the time leaving high-powered careers revolves around starting a family, but it’s time we realised that as the workplace is currently structured, a lot of women don’t want to get to the top anyway, because they don’t want to pay the price, in terms of their health, wellbeing and happiness. In fact when women opt out, it’s not just because of the kids, even though that sometimes takes the place of the job they’ve left. Thankfully, more progressive workplaces are moving away from “presenteeism” (including the US-led culture of taking the bare minimum of holidays due to the illusion of indispensability! ), in favour of task-driven rather than hourly pay. Then efficiency is rewarded by getting time back to spend how you choose, rather than the “reward” being still in the office cramming in more of the same work – unsatisfyingly cyclical! Once you’ve decided to make the change, what’s next? Of course, if the notion of a basic wage for all comes to fruition, this could also be a means through which people will have the freedom to make decisions as to what they actually enjoy. In the meantime, portfolio jobs are on the rise, partly because of more people seeking a working lifestyle that they can balance themselves, and which they can use to earn through a variety of different activities. A broader mind is an engaged mind, and unlike robotic routine which makes life fly past, variety makes you feel like you’re really living. Japan is a prime example of a society where large sections of young people are rejecting the traditional “safe but stifling” corporate path their parents and grandparents accepted without a murmur (“salarymen” whose wellbeing was secondary to profits), in favour of the freedom of the gig economy. Classes are also now in place in Japan to help “re-program” ex-corporate workers, who have become experts at one thing but don’t know much about anything else in life – starting by banning business cards and giving them nicknames, to wean them off the corporate rituals they once used to establish the professional pecking order! For further inspiration as to what people who have broken free of corporate overwork have gone on to do and why it’s worked so well for them, take a look here: Meet six women who have traded the 9-5 for a life less ordinary and Is there life after the office? Interested to know more about what I do? I’ve just had a refresh of my website, please take a look and let me know what you think!